Choir practice is on hold until archaeologists finish digging up dozens of skeletons buried beneath a school auditorium in Zurich. The graves date back to the Middle Ages. “Our school and the building already have a long history, and now they’re one story richer!” Christian Grütter, headmaster at the high school in Küsnachtexternal link near Zurich, told swissinfo.ch. He says that both teachers and students are excited about the discovery of more than 40 skeletons under the hall where the choir rehearses. “As one graduate remarked, ‘It’s pretty special to think of what we were singing over all these years,’” Grütter said. According to archaeologists, the recently unearthed cemetery was in use between the 9th and 11th centuries. The school – which specializes in music, art and languages – was built in the 1830s and is undergoing renovations. 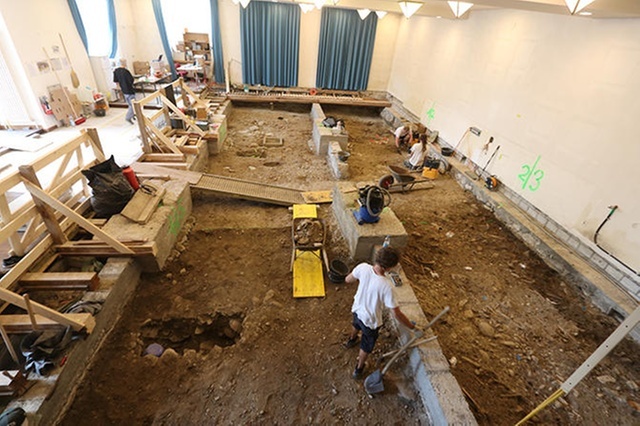 When initial digging began last summer, archaeologists suspected that the school’s proximity to a church might unearth evidence of an old graveyard. “The excavation sheds new light on the age of the village church. 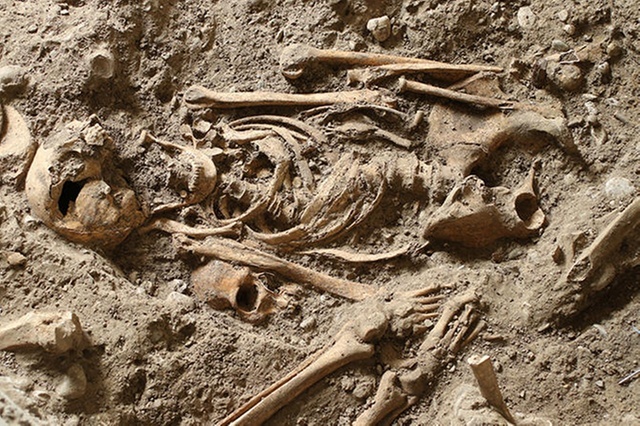 As the newly discovered graves show, it dates back long before its first mention noted in 1188,” Markus Pfanner of canton Zurich’s building departmentexternal link told swissinfo.ch. But he and the archaeologists never thought they’d find so many old parishioners in such fine form. “For the first time, a part of the medieval population is tangible. Noteworthy is also the good condition of the skeletons, which is due to the optimal makeup of the soil at the site,” Pfanner said. During the construction work, the skeletons of more than 40 men, women and children surfaced. Hundreds of students and teachers have taken advantage of the chance to observe the work of the archaeologists. Two of the students felt so inspired that they dedicated their matura projects to the findings: one in terms of the science involved in examining the bones, and the other in the form of a film documenting the archaeological dig. 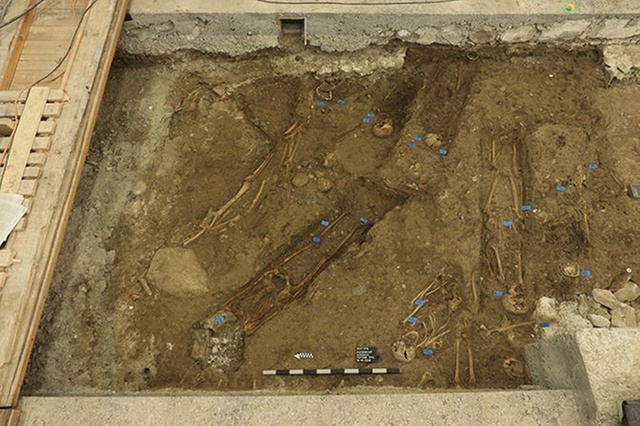 The work will continue through July, after which archaeologists will clean and continue studying the skeletons – whose final resting place will be the University of Zurich’s Department of Anthropologyexternal link.